I always say everyone has 24 hours a day – it is what you do with it that counts. Many people seem to get tons of stuff done, others are always complaining they’re too busy..? If we each have the same amount of time, why is there such a difference? List / Planning – The days I get more done, I usually start off with a list – my top 3. What do I want [need] to get done today? I plan out the tasks and make sure that I have the proper time and resources available. Scheduling – block out time to dedicate to getting the tasks done. Make sure that they “fit” within the course of the day and you will stick to the plan. Focus – stay on task. Eliminate distractions. Close other apps or even close the computer if need be. Turn off email, what ever could pull your attention away. The days I stick to this simple formula are the days I get more done. I have a plan and focus. The days I don’t do this… well it seems like I do a lot, just not accomplish anything. Go figure..?? Setting a list is one of the toughest items. What are the tasks that need to get done? A good friend keeps telling me “do the next right thing”. OK, great – so what is that.? Here is where the vision -> goal setting comes into play. When we set goals we can further break them down into smaller checkpoints to keep us on track. These checkpoints can then be further broken down into smaller more manageable tasks. Here is where you get your “top 3” to work on for the day. The tasks should directly relate to your long term goals you wish to accomplish. 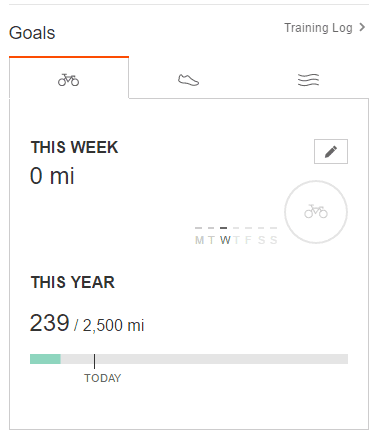 If we want to hit those goals we need to keep track and stay on point. Here is where data comes into play. Will be discussing more on that in an upcoming post. For now we can just focus on getting our “top 3” done each day. Make a list of items to work on, prioritize to coincide with your goals – and keep pecking away at the tasks. Once you get the top 3 done there is no need to stop. Have more time, throw a few extra in there. Take a few from the list that may be a lower priority and you can just knock it out. Remember the OneNote post? Here is where I track all the things I need to work on and where I pull my tasks from. – Yes, more on that too! Time – is on my side… yes it is! Stephen Covey lays this out with the big and little rock metaphor and suggests a weekly plan. Lay out schedule on Sunday and plot time for the big rocks and fill in any gaps with little. Here is a video that explains it. Awesome as always my friend! Yes, need to take care of the big rocks first! !